Providing this support will allow you to spot if one of these tags would be slowing down a CFC / CFM call made within your CFML application, where before you would be able to see that a CFC / CFM call was slow, but not explicitly identify what was causing this without using the production debugger and profiler. For each tag, each attribute is tracked as a transaction property allowing you to see exactly what variables are being used by the tag. The only exception to this is the password, which will not be tracked in FusionReactor. Each tag will be tracked as a child request of the CFC/CFM script it was executed inside, so it will be visible in the relations tab of the request details. The child request will be generated in FusionReactor as soon as it begins executing, so will be visible under the Requests activity page as a relation. Below are examples for each tag running on ColdFusion 2018, for Lucee the tag attributes will need to be modified. 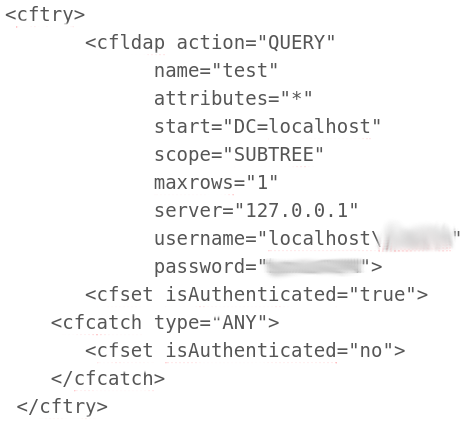 You can see here the query performed on the LDAP server and that no error occurred, so we can assume there was no issue authenticating with the server. Here it is possible to see the 3 distinct CFFTP calls and the time taken for each, each call will have a unique set of attributes and these can be seen in the properties tab of the transaction details. You can see a CFMAIL tag with the action send tracked in FusionReactor. You can see here the CFIMAP call took 4.9 seconds to execute, with an older version of FusionReactor it would be difficult to track down why CFM script was slow to execute without debugging server but now it is easy to see. FusionsReactor 7.3, the latest release in the ColdFusion and Java monitoring tool has tons of new features and improvements. 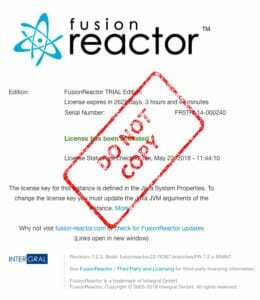 This article will be an overview of some of the most valuable aspects which affect the bottom line and ultimately guide on how FusionReactor can work for you. You can find them listed also in the FR “release notes” technote (https://www.fusion-reactor.com/support/kb/frs-431/). Please note, if you scroll further you can see how the APM has developed throughout the installments. There are a few FusionsReactor 7.3 enhancements which are specific to particular supported platforms. Support is now included for Java 10, ColdFusion 2018 as well as Solr. More developments include additions in application servers to the “System Information” page, with ColdFusion, Lucee, Tomcat, etc. now comes JBoss information as well. Server detection for a Commandbox run instance is now part and parcel. Tomcat log files will also be captured alongside the other FR logs in the same timeframe as before (per hour), all set as standard. 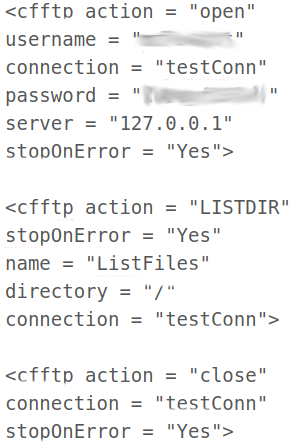 FusionReactor has long done the same sort of excerpting of ColdFusion’s console log, the ColdFusion-out.log, which appears in the FR logs as fr-coldfusion-log.log. In the case of Tomcat, the log catalina and localhost file names will show up in the FR logs with the names juli-catalina.log and juli-localhost.log, respectively. Finally, the Tomcat stderr.log is archived by its original name. Having these logs for the application server available while reviewing FR logs can be very helpful, especially for post-crash troubleshooting. These capabilities allow FR 7.3 to keep up to date with the changing world, important when considering Moor’s Law. The furthered log file competences provide a richer data collection, giving you further insight into what’s going on with the environment. Ultimately, this affects more informed decision making which provides quality as well as faster resolution of issues. Progressions have been made with regards to the obfuscation of data, something very important in the modern age, which is not going away with the resent General Data Protection Regulation (GDPR) requirements. Versions from 6 have provided options for obfuscating data, including SQL and for MongoDB obfuscation, to FR 6.2’s optional obfuscation of request data, to FR7’s obfuscation of credit card data and more. FR 7.3 enables you to obfuscate IP addresses. This and the others aid in meeting GDPR and other security/privacy requirements. This way you can make sure data is safe and save money on any potential penalties as a result of GDPR enforcements. One of the most used features within the FR set up is the ability to receive messages when something has occurred with your application (this could be daily reports, or more importantly crash protection). Upon testing the email system, in previous versions you would have noticed that you could change the email address for the test purposes, however it would not have changed in the overall settings. 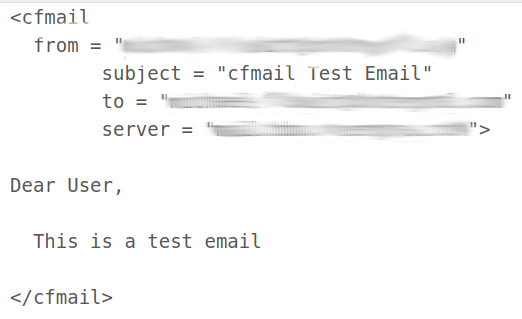 In FR 7.3, you can test your email all the same, adapting the “To address” value(s). Furthermore, one will be able to click the “save settings” button, which will save the input, until when changed again. FusionsReactor 7.3 has been one of our main focal points in terms of developing more capability for the FR range. For those of you who were not aware, FR Cloud aims to expand the capability provided by the on-premise version of FR by providing access to historical data, combining instrumentation data across server instances to provide a single consolidated view and very focused access to specific issues, such as slow running requests or transactions which threw errors. FusionReactor Cloud also includes a sophisticated alerting engine, which provides seamless integration with several tools, such as Slack, PagerDuty, HipChat, VictorOps etc. You can read about the features here. As part of the FR 7.3 release enhancements, FR Cloud users will now be able to be see an indication of an active profile for a running request that is itself being profiled. Another feature is the immediate request API which ultimately allows for a more instant connection between the cloud and on premise solution ensuring faster “real-time” performance. Another benefit of the improvement to communication in FusionsReactor 7.3 is FR now being able to send more profile entries to FR Cloud by default. There’s also improved error handling and feedback when using the feature to start/stop Profiling of requests from FR Cloud. And thread dumps taken in FR Cloud now better match on-prem FR thread dumps (including more thread meta data), and sub-transaction information for recent and running requests as well as JDBC transactions are also improved. More log functionality has also been updated. Users can now monitor their log file creation on FusionsReactor 7.3 on-premise and decide whether or not to send the data to the cloud, ultimately saving time, later on, and memory space. Although there is no direct capability for that on cloud, the brilliant thing, is when it comes (soon) it will be automatically uploaded to any using FR Cloud already. FR Cloud is all about data, how to use it and the processing of said data. The ability to view multiple indications of profiles allows for efficiency of work, alongside the API feature which will speed up processes. Time saved through speed ultimately saves money, as well as allowing for employees to spend their time more effectively. The log and thread capabilities provide a cohesion between the on-site and cloud FR implementations, using synchronization alongside the enhanced data displays to insightfully inform decision making while allowing for improved timing between viewing real time data (on-site) or historical data (in the cloud). These ensure quality decision making for furthering business interests, in a timely manner which saves cost and enhances the availability of resources. So although not comprehensive, we have covered some of the salient FusionsReactor 7.3 updates. Furthermore there are some bug fixes which can be seen on FR 7 updates technote. Ultimately all these changes are aimed at quality, time saving, cost saving and ensuring customer satisfaction by improving the back end processes. All of which should improve in company profitability and sustainability. If you already have a previous version of FusionsReactor 7.3 java monitoring tool, note that there is a “check for updates” link on the FR “about” page. If you are new to the product, download the latest version by clicking on FR downloads page. Can’t reproduce the production problem? Just debug it in production! Why debugging in production is so tempting? In one of my first jobs, one of the tasks I had was to fix a bug which used to occur from time to time in a very complex production system. That is easy! – I thought. I will reproduce the same situation in my development environment, find the broken line, implement a quick fix and it’s done! However, it turned out that reproducing exactly the same scenario which occurred in production, was not possible – so after some time, I gave up this idea. I was forced to spend days analyzing logs and trying to correlate many different events, to come up with an idea of what might have happened. Soon, I realized that it’s as tedious as looking for a needle in a haystack. A couple of fruitless days later, I came to the conclusion that I would need to add more logging here and there and wait a couple of days or even months to see if the bug occurred again. Then I thought that hunting bugs in production is somehow crude, compared to the sophisticated tools we have when developing an application. You’re implementing a new feature and seeing that the result of what your service returned is not what you had expected? You just put a few breakpoints in and click the Debug button! A few moments later, you know exactly what happened. Wouldn’t it be awesome to do the same in a production environment? Why debugging in production is so hard? Wait a second! – you might have thought. But don’t we have the remote debugging features in most of the modern IDEs? Couldn’t we just connect to the running production application and debug it as we do from our local environment? While it’s possible, another problem arises: most of our business applications handle many requests per second. There is no easy way to control breakpoints firing everywhere when your application is being remotely debugged. As you can imagine, we don’t want to block all of our users from using our application when we decide to debug it. More often than not, we also can’t just force our application to reproduce the bug which happened yesterday – sometimes the only way to do it is to wait until it occurs again to one of our users. Thus, keeping a remote debug session in production, without a strict control of how breakpoints fire, is like putting landmines in the forest and inviting our users to run through it. FusionReactor is an Application Performance Monitor, which comes with many advanced capabilities which you wouldn’t normally expect to find in monitoring solution. One of these, is the production debugger, designed to allow you to get low-level debug information from your production runtime environment – without affecting performance and without the issues and obstacles you would have with a traditional debugger. Another great benefit, is that FusionReactor can send out an email with the stack-trace and variables at the point that the trigger fires. This gives you a very flexible and unobtrusive way to get notified with plenty of information to make debugging easier than ever before. It’s a LOT better and simpler than adding debug/log file code into your production applications! For one thing – you don’t have to remember to remove the debug code in your production application ! If that’s not enough to convince you that debugging in production doesn’t have to be cumbersome, FusionReactor is shipped with a fully integrated IDE-style debugger which runs directly in your browser – no need to install additional fat clients to start remote debugging. Everything is built in and ready to go. One of the problems with direct buffers is that it’s expensive to allocate them. Regardless of the size of the buffer, calling Buffer.allocateDirect() is a relatively slow operation. It is therefore more efficient to either use direct buffers for large and long-lived buffers or create one large buffer, slice off portions on demand, and return them to be re-used when they are no longer needed. A potential problem with slicing may occur when slices are not always the same size. The initial large byte buffer can become fragmented when allocating and freeing objects of different size. Unlike Java heap, direct byte buffer cannot be compacted, because it’s not a target for the garbage collector. If you ever had some serious issues with the performance of your Java application, most probably you know how valuable thread profiling can be. But do you know which profiler you should use? There are two basic techniques used by profilers – sampling and instrumentation. As you can see, the thread spent most of its time in save method and a little bit in read method. If the sampling happens only when the thread is in a save method (more probable as this method dominates), the profiler will report that the thread spent 100% of its time in save method, which is of course not accurate. A rather logical way to minimize this sampling error is to reduce the time interval between sampling and increase the profiling time. However, as we discussed earlier, this solution might impact the performance characteristics of the application, so a balance is the key. Instrumented profilers introduce a much larger performance overhead into the application. This method usually involves injecting bytecode into the classes for the purpose of profiling. This approach involves a higher performance impact, but generates a more accurate measurement when compared to the result from the sampling profiler. Another problem which may arise as a result of the way an instrumented profiler modifies the bytecode is the following; as you may know, JIT compiler inlines small methods. Because the instrumentation introduced by the profiler, some small methods might not be eligible to be in-lined anymore. It can have a serious impact on application performance. If you decide to use instrumented profilers, make sure that you instrument only a small section of the code. Profiling in a development environment is easy. However, it might not be enough. When dealing with production data, we are exposed to a different scale and thus, we might observe different bottlenecks in our application. That’s why profiling in production is so important. As already mentioned, both sampling and instrumented profilers have their pros and cons. If you want to profile in a production environment, a low overhead sampling profiler seems to be a better choice. FusionReactor’s Production Code Profiler will help you identify bottlenecks in your production environment with a very low sampling overhead. The really cool thing about this profiler is that it can be configured in a way that it will automatically profile your application if it detects a long-running request or thread. What is a long-running request? It’s up to you to define, but 3 seconds is the default value. If you monitor some sort of latency-sensitive application, then you might want to decrease this value. Similarly, if your application performs some time-consuming computations, then most probably you don’t want to be notified all the time and increasing Minimum Transaction Time will be necessary. 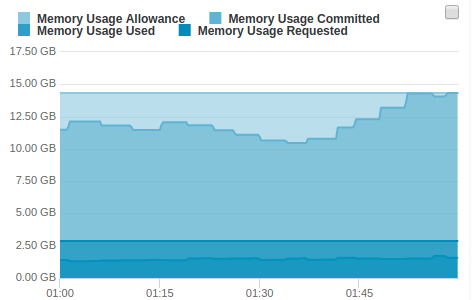 Taking a stacktrace snapshot takes as little as 1 ms per sample. With a default sampling rate of 200 ms, you can usually get some meaningful results from just 5 samples. On the left-hand side, you can see the percentage of time the particular method took. On the right -hand side, time in seconds is shown. As you can see in the output, logging in lowCostSearchEngineClient class can be a potential bottleneck in this application. Thanks to the bundled de-compiler, you can instantly check the method by simply clicking on it. It’s not always easy to pinpoint a performance issue in a running application, but profilers are usually good estimators. Sampling profilers such as FusionReactor’s Profiler, are perfect tools to use them in a production environment. 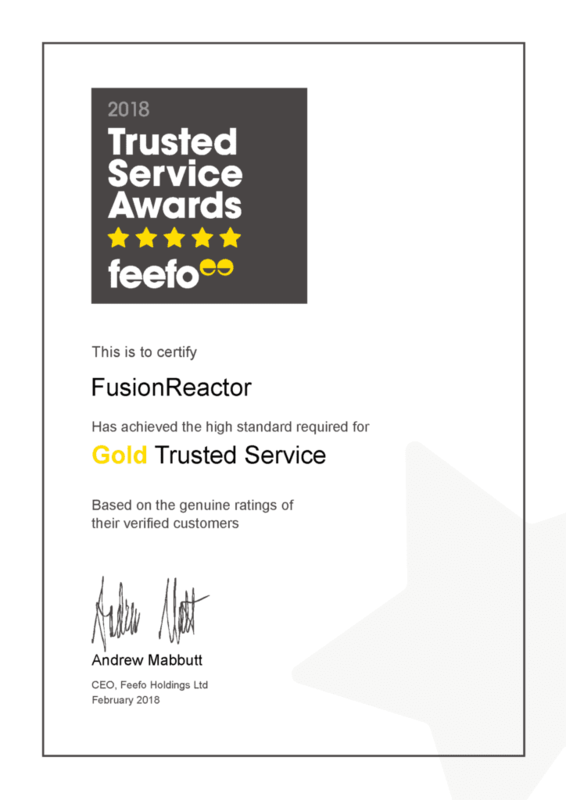 We are thrilled to announce that for the second year in a row FusionReactor has been accredited with the “FeeFo Gold Trusted Merchant” 2018 award! Feefo is an independent feedback service that are dedicated to collecting trusted reviews. The Gold Trusted Merchant award is only given to businesses that have an average positive Service Rating of between 95% and 100%. The whole FusionReactor team would like to thank everyone who filled out feedback for us – we really appreciate it! The award shows that FusionReactor is a leading tool for Java Application Performance monitoring & Degugging – designed to help Developers and Devops improve their applications and get to the root of the problem as fast as possible. Using the Feefo feedback service has been a fantastic way for us to see how FusionReactor is being utilized by our customers. As well as highlighting any issues they may be facing. We always aim to provide the best possible service for our customers. “The Trusted Service award is a recognized symbol of trust – helping customers click with confidence.”. From everyone on the FusionReactor team thank you and have a great year!